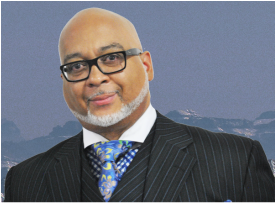 ﻿In 1999, after Otis I. Walker went on to be with the Lord, his youngest son, Elder Anthony R. Walker, became the Pastor of the Open Door Church. He was already serving in several capacities, including working as the church's Minister of Music and Assistant Pastor. Pastor Walker also served as the Capitol City Districts Minister of Music and was part of the National C.O.G.I.C. Mass Choir. He graduated with a Bachelor of Science from DeVry Institute in Dallas, TX. While in Dallas, he met and married Judith White in 1987. The couple has one daughter, Jazzmyne. Through his own trials and tribulations, God birthed into the heart of Pastor Walker a greater passion for the struggles and adversities that others may face in life. God mandated him to depart from the traditional norms and to minister to the whole person.